understand the qualities needed to be a successful young entrepreneur. At the age of only 29, Ben is now leading the team at Winebuyers, executing his vision and focusing his entrepreneurial expertise on his two passions – wine and technology. Winebuyers has just completed a Series A funding round, securing over £1,000,000 of investment. 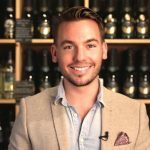 Join us for a fascinating look into the world and mindset of a young, successful entrepreneur whilst finding out more about what it takes to set up a new business, such as Winebuyers, while attracting funds for growth. Ben Revell is a serial entrepreneur with a background in luxury goods and a founding member in three previous startups. The first of these was a provincial retailer of watches, wines and other related high end luxury goods. Ben then moved on to establish the London office of a Middle Eastern online luxury watch and diamond seller. On the side, Ben set up a company to satisfy his own interest in investing in fine wines and champagnes. It was as a result of this particular venture that Ben identified a gap in the market which led him to establish Winebuyers.com, an industry disruptive e-commerce platform that uses technology to connect vineyards directly to the end consumer. Ben (29) is now leading the team at Winebuyers, executing his vision and focusing his entrepreneurial expertise on his two passions – wine and tech. Winebuyers has just completed a Series A funding round, securing over £1,000,000 of investment.